Liberals commonly question the authority of the Scriptures on the assumption that they were based on ancient traditions. However, the word “traditions” itself as used here conveys no such idea. It means simply “that which has been delivered.” Paul used the same word in defining the gospel. “For I delivered unto you first of all that which I also received, how that Christ died for our sins according to the scriptures” (1 Corinthians 15:3). Paul did not add or subtract anything to what he had received directly from God. “For I neither received it of man, neither was I taught it, but by the revelation of Jesus Christ” (Galatians 1:12). He was making the same claim to the Christians at Thessalonica. He had first taught them “by word” when he preached there in person (Acts 17:1-4), then later by “our epistle” in his first letter. Now, in his follow-up letter to them, he was reminding them that, in both instances, he (as an apostle) had communicated to them only those things he had directly received from God by divine revelation. Therefore, it was indeed vital that they should “stand fast, and hold” these great truths “which ye have been taught.” Paul was asserting that God had directly communicated, through him, the new truths which He wanted them to have. 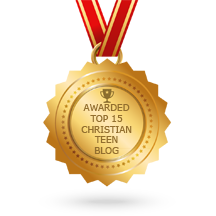 This entry was posted in A CLICK A BLESSING TODAY, CHRISTIAN NUGGETS, CHRISTIAN TAGALOG BLOGS, CHRISTIAN TEENS BLOGS and tagged preach, Revelation, stand fast, traditions, Word. Bookmark the permalink.